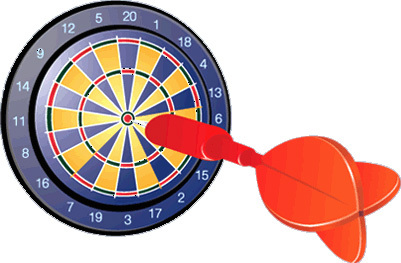 You may not be aware that we have a friendly and competitive Darts competition with Emsworth Slipper SC every year on Good Friday. Over the past few years dominoes has crept onto the programme which take place while you are not on the oche. This is a long standing event with a great tradition, all club members are welcome. Dont worry if you haven't played darts since last years event or even longer, its all about supporting the club, making up a team and having a good night. But if you can throw a half reasonable dart or 3 please come along. We play 301 straight in double out, so that should indicate the abilities or lack of them that are required to get involved. Not that we are competitive in any way, but we do have a practice night on April 12th at 19:00 when the bar will be open and nice meal on offer of Shepards Pie and Chocolate Fudge Cake, and guess what there is no charge. The big match is on April 19th at 19:00 with another splendid meal Chicken Curry and Eton Mess and again no charge. See you there, the emphasis is on fun and meeting sailors from another club in the harbour.